Become a Jedi - Use the power of your mind! Move Holograms with your Mind! 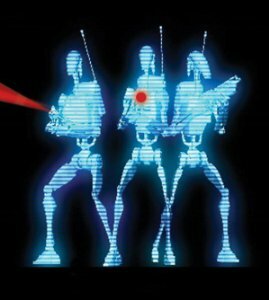 Use the power of your mind to move holograms and perform amazing feats of Jedi strength from different Star Wars movies. 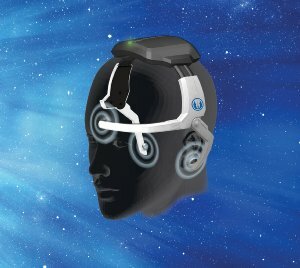 Real brainwave sensors on the wireless headset detect the strength of your concentration from your brainwaves and trigger changes in the hologram. Re-enact famous Jedi challenges as you advance through 10 different levels of Force Training. Develop your powers of concentration and see if you can reach the rank of Jedi Master. Move Holograms with the power of your mind! As you use the Force Trainer, Master Yoda guides you with voice instruction and encouragement through each challenge. Authentic Star Wars music and sound effects brings to life each Jedi experience, as if you were right there in the Star Wars scene you are re-creating. Re-enact some of the most famous Jedi challenges on your journey from Padawan to Jedi Master level. 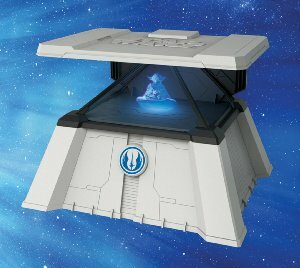 Levitate and move a Jedi Training remote, build your own lightsaber, and battle against droids, Darth Vader, and the final challenge against the all powerful Emperor! Includes free App update after the release of the Episode 7 movie with new Episode 7 challenges. Yes! 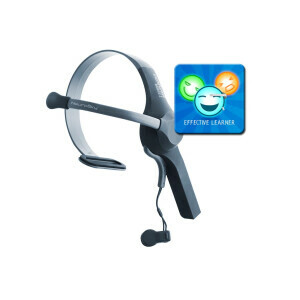 The Force Trainer headset uses advanced neural sensor technology to read and interpret brainwaves. 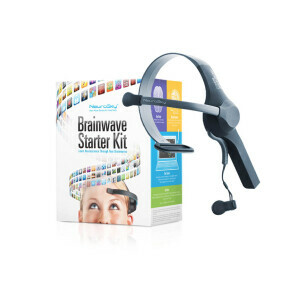 As you concentrate, you generate Beta brainwaves. 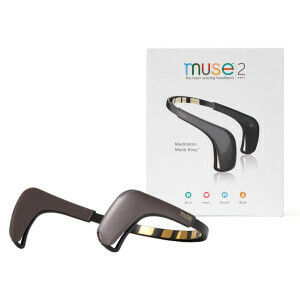 The headset detects these waves and translates a digital signal via Bluetooth to your tablet causing the hologram to move based on your level of concentration. Batteries 1 AAA batteries required. IMPORTANT: Tablet required for product use (not included). Works with most popular tablet devices including iPAD (iPad 2 - 2011 and newer) and Android devices (Samsung Galaxy Tablet 10.1 recommended).